Let us understand all the tax components for investing in equities (stocks or equity mutual funds) for the longer-term. We have a new tax for LTCG. It stands for Long-Term Capital Gains. Any investment in the equity market (stocks or equity mutual funds) for more than one year had no tax liability on returns prior to 31st January 2018 as they were classifieds as long-term capital gains. From Feb 1st, 2018, we have a 10% tax on the returns. The gains weren’t taxed until 31st Jan 2018. So any gains made till 31st Jan 2018 are still tax-free. So the tax calculation isn’t based on the purchase price but price as on 31st Jan 2018 and gains thereafter. Let us understand this with an example from my open portfolio. Any equity investment prior to 31st Jan 2017 which was termed as long-term capital gains as on 31st Jan 2018. So the investment in Pidilite Industries was in September 2016. So in September 2017, it became long-term investment and any gain in the investment were tax-free. The purchase price was ₹720ish. On 31st Jan 2018, the price of the stock was ₹900ish. So the LTCG calculation when I sell Pidilite Industry after March 2018 will be based on ₹900 and not on the purchase price ₹720. In simple term all the long-term gains are still tax-free as of 31st Jan 2018 and tax is levied only on incremental gains after 31st Jan 2018. The same calculation also applies to equity mutual funds where the returns till 31st Jan 2018 are tax-free. On top of the above tax free amount, every fiscal one has an additional tax free LTCG income slab of ₹1Lacs. So even if I book profits of up too 1L in the next fiscal for my long-term investment I still don’t have to pay any LTCG tax. So for the 1,000 units of Pidilite and for the sake of calculation in the next fiscal i.e. from April 2018 to March 2019 if the price of Pidilite touches Rs.1000 and if I sell, I still don’t pay any LTCG because profits aren’t more than 1L assuming I don’t make any other profit as LTCG in the fiscal. If the dividends recieved by any individual in a fiscal year is less than 10Lacs, the dividend income is tax free. There is an asterisk to the dividend income of 10Lacs which is the companies should be an Indian company i.e. listed on NSE or BSE or an Indian equity mutual funds. The dividend from foreign companies are treated differently and is beyond the scope of this article. So the dividend income for investment in Indian market is tax-free for a retail investor as long as it is under 10Lacs. If we only consider LTCG and tax on dividend income, we may assume investment in dividend funds is better because the tax-free income slab for dividend is much higher aka 10L compared to LTCG of 1L. 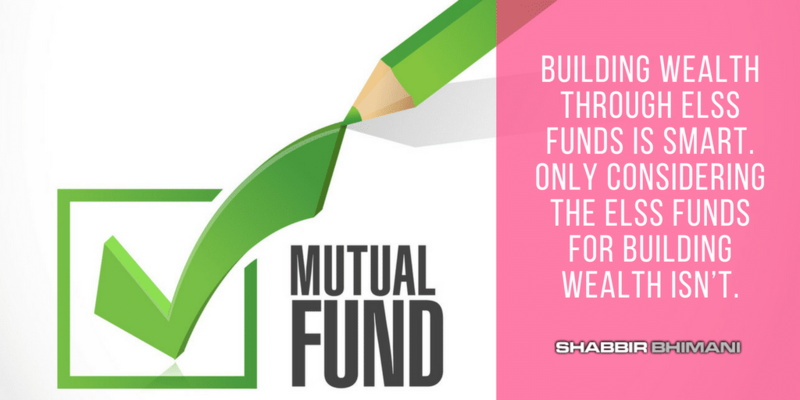 The dividend paid by mutual funds reduces the NAV of the mutual fund by the same amount. So effectively income received as dividend by an individual can reduce the overall LTCG gains. If a fund was purchased at a NAV of ₹10 and if it increased to ₹12. If the fund pays a dividend of ₹1 the NAV of the fund is reduced to ₹11. The overall gain on the investment is reduced by a dividend payout but there is one more tax introduced at the funds level which is dividend distribution tax or DDT. Any mutual funds who pay out the dividend now have to pay DDT or dividend distribution tax. Prior to 31st Jan 2018 only companies had to pay DDT but now even mutual funds are to pay DDT. The DDT will be paid by the mutual funds but ultimately it will dampen the returns of the investor. So it is expected that DDT will hurt the mutual funds’ industry badly and mainly to the monthly payout dividend fund. As of now the DDT for mutual funds is 10% percent ( 11.648 percent including surcharge and cess). Association of Mutual Funds in India (AMFI) is in discussion with the finance ministry and SEBI on this matter – Reports Business-Standard. So if a mutual fund decides to pay ₹1 as a dividend, the total expense for the funds will be ₹1.11648. ₹1 will be paid as a dividend to the investor and the rest as DDT. So the NAV of the fund will reduce by ₹1.11648. Though the individual will get ₹1 as dividend and it will be tax-free returns with the assumption the investor isn’t to cross 10L in dividend income in a fiscal but the nav will reduce by dividend+DDT. So his overall return on the amount that he has remained invested after the dividend payout is reduced.Technically he has paid DDT from his returns. Though you aren’t paying any tax on the dividend, still you are paying the tax in the form of DDT. 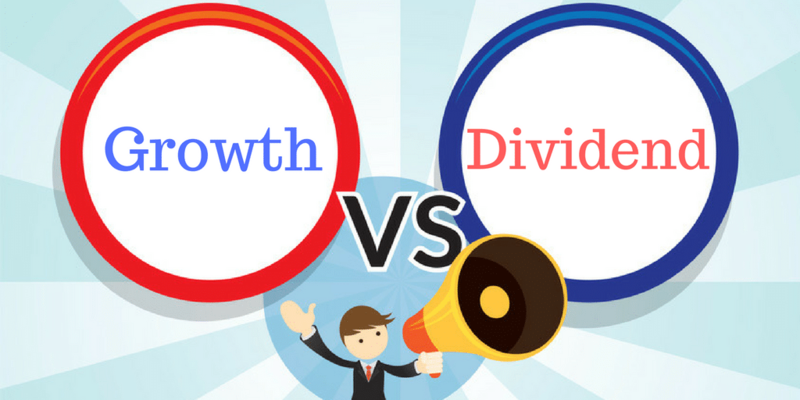 Growth or Dividend – Which one is right? Now we know LTCG, dividend on income and DDT. So now it becomes quite easy to decide which is the right choice – dividend option or growth option for investment. DDT and LTCG tax percentage are same and for calculation sake let us keep both as 10%. For LTCG you pay 10% as tax but only after the initial tax free slab of 1L. If there is no tax on dividend income but still investor pays 10% as DDT. So in case of dividend option, investors are surely paying the 10% as DDT but in case of growth option, there is no tax if the income is under 1L. Even if the returns are above 1L, the LTCG tax of 10% is only on the amount above 1L. If the total capital gain is 1.5L in a fiscal, the LTCG tax is only on the 50k above the 1L returns. But in case of the dividend, if 1.5L is paid as the dividend the DDT would have been on the whole amount of 1.5L. Apart from that, one can do partial withdrawals in a fiscal to save on the LTCG which isn’t possible in case of dividends. Clearly growth is a better choice for retail investors. The current LTCG structure is a disadvantage for the really longer-term investor of 5 to 10 years compared to the medium-term investor of 1+ years. The day I plan to book profit in my the portfolio, I can have a larger tax liability as a longer-term investor compared to a medium-term investor. One may argue the tax is on the returns only but consider the following scenario. Instead of remaining invested in a mutual fund, if I sell off fund after holding it for a year and then buy back again in a few days, the tax liability can be reduced as I can utilize the LTCG tax-free slab of 1L in each fiscal and the tax calculation for the next fiscal is based on the newly purchased price. We are still very early days of LTCG in India and I expect a lot to change as we move forward. I am not a tax consultant nor this is a legal tax advice. This is purely for educational purpose on what one can do and to an extent what I may be doing with my ELSS funds from the next fiscal. I always preferred Dividend option for saving tax but now it seems I have to make a move to growth option for ELSS funds as well. You are here: Home / Tax planning / Dividend Vs Growth Option – Which is Right Choice After LTCG and Taxable Dividend?